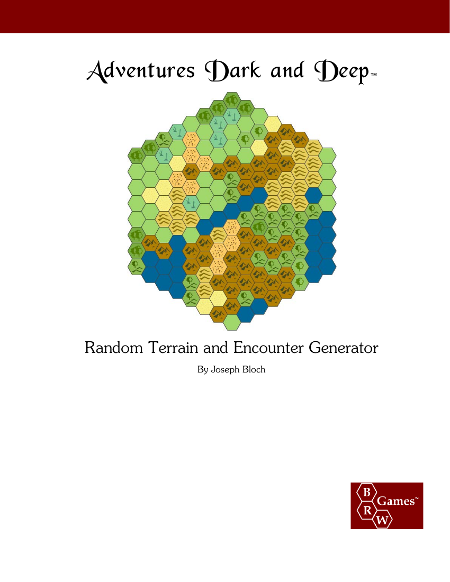 After many months of work, the print edition of BRW Games’ Random Terrain and Encounter Generator is now available. We were holding off doing the print version of the book because a major portion was still under construction. It is with great pleasure that we can now announce that the book now contains a complete system for generating urban environments and encounters, as well as wilderness and dungeons.